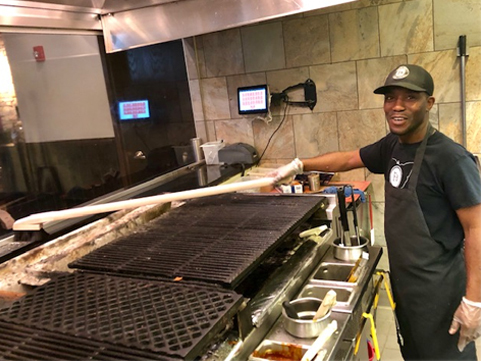 The following is a case study for a Grill Restaraunt Chain that Felton Brushes recently earned the pleasure of working with. We visited the restaurant while on business and started chatting with the cook. 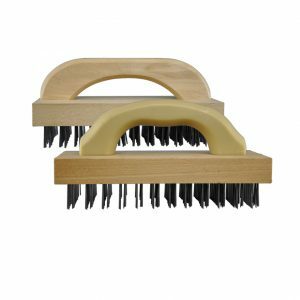 We noticed that the imported brush head on the grill brush that they used was wiggling off the handle and had lost many bristles. The chef said “ Yah they don’t last very long…1 to 2 months”. 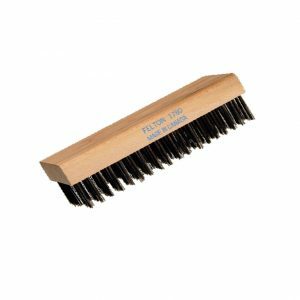 We provided them with a free sample of a similar style but much better made brush, and when we returned in 60 days the Felton brush started to see signs of wear. 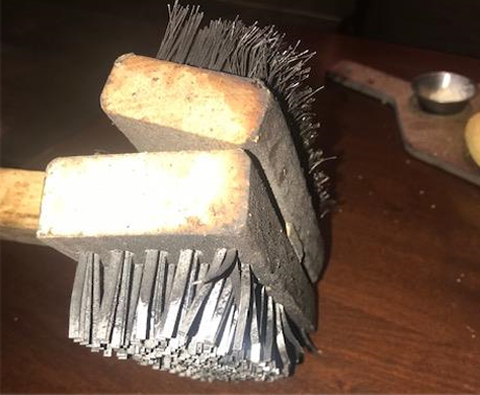 The imported brush that they started using at the same time and purposely used equally to ours was again wobbly and bristles were falling out. 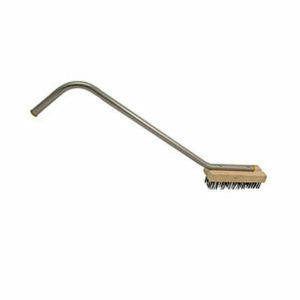 The manager was excited that he met someone so excited about brushes and took such a keen interest in his needs. The manager showed us another problem he was having. It was about removing ashes from a display window in their kitchen facing the dining area. It was often extremely dirty just as the big crowd was coming for dinner. He explained that the only solution they currently had was to move the grill away from the window at the end of the shift and clean it that way. It was very inconvenient for both the customers and staff. 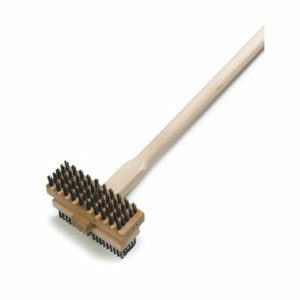 Felton Brushes designed a prototype within 48 hours for them to test. 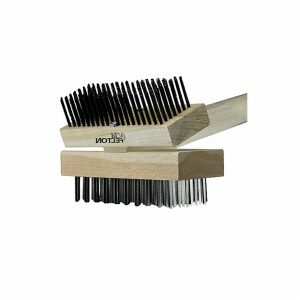 A friendship was formed and a brush was produced to solve their problems. The result was that they could clean throughout the day without any difficulties. 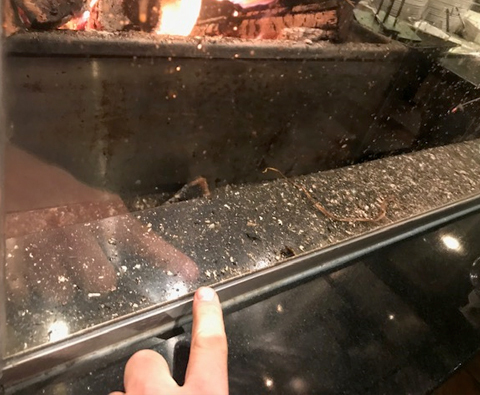 They no longer had to wait until the end of the day to clean the kitchen-facing area, which greatly improved both staff morale and the viewing experience for their customers. 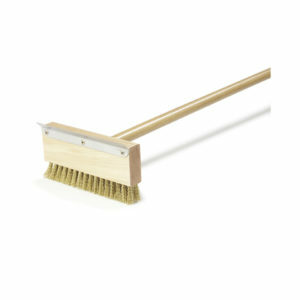 Felton Brushes can make virtually any custom brush tailored to the needs of your restaurant chain. We will address logistics, replacement interval strategies, which brush will best fit your needs, and much more to ensure that you are 100% satisfied with our product and service every step of the way.